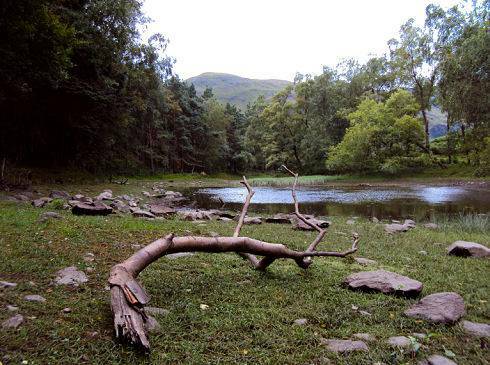 Beautiful Lanty's Tarn, situated above the village of Glenridding, is a hidden Lakeland gem. The tarn is situated on Birkhouse Moor, near the summit of a small mound known as Keldas and referred to by Alfred Wainwright in his first book of walks in the Lake District. Lanty is a Lakeland dimunitive for Lancelot. The Lanty is question being one Lancelot Dobson, an earlier landowner. 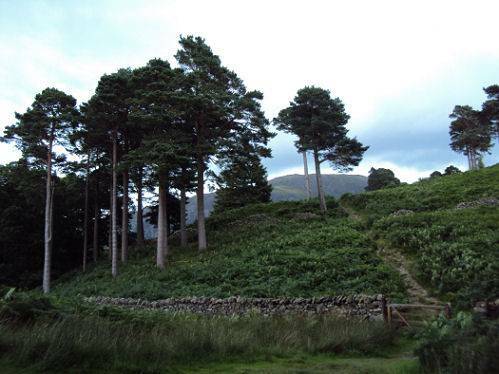 The tarn was later purchased by the Marshall family, owners of nearby Patterdale Hall, who dammed it in the nineteenth century. The family used the tarn for fishing and as a source of ice in winter, the ice house still stands nearby. 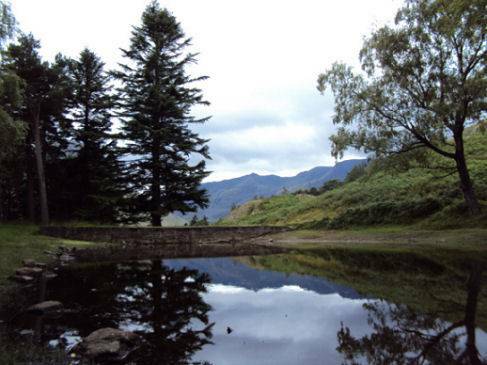 Lanty's Tarn offers superb views down Ullswater. *Commencing from the car park at Glenridding, proceed to the main road and turn right over a beck and follow the road signposted Mires Beck. Continue along when the road becomes a footpath, on reaching a junction, take the left fork signposted Lanty's Tarn. *Pass buildings and take a left turn on a footbridge over a beck. 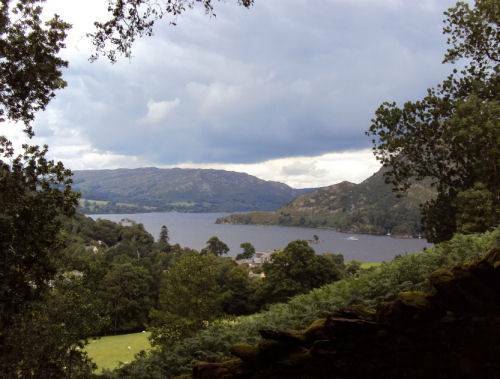 The footpath then proceeds steeply up the hill to the tarn providing stunning views of Ullswater.